I would do the typical thing and start off by saying 'it's that time of the month again' for my monthly favourites but truth be told, I haven't actually done a monthly favourites for a while. In fact the last time I wrote one up was in October last year(you can find that here). It has been a super long time and nearly a year has passed by since then so it feels good to finally share my favourite products with you. Although this is my August favourites, everything featured within this post are from previous months too and is actually makeup fuelled. There's no sign of any skincare or bodycare at all. What can I say, I'm more of a makeup obsessed girl than anything else. I would rather spend £50+ on an eyeshadow palette than a high end cleanser or body lotion. For the last few months since the release of the new Anastasia Beverly Hills Modern Renaissance Palette I have been using it non stop. When I say non stop, I really mean it. No other eyeshadow palettes have even been touched. It is such a 'me' palette. The eyeshadows are super pigmented and smooth to the touch. And the shades, well that's where I fall in love. 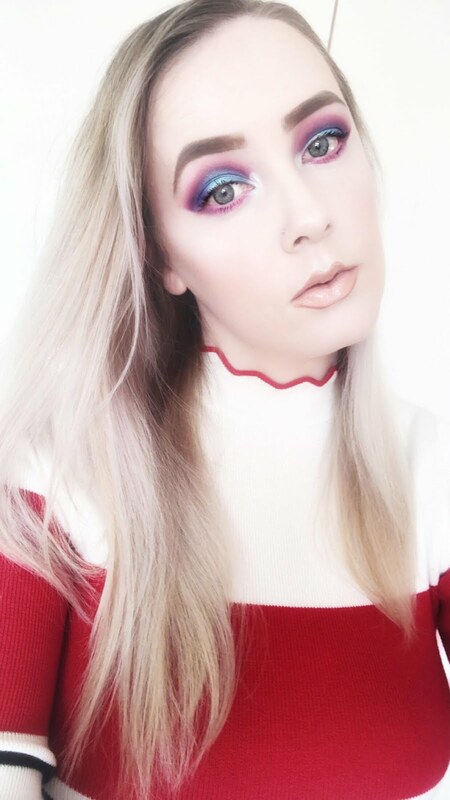 The raspberry and orange tones within the palette have my heart, they really make my green eyes pop. You can find more about it here, along with swatches. Unfortunately I can't find it available anywhere in the UK(doesn't that just show how popular it is?) other than the ABH website, but you can join the waitlist here at Cult Beauty. 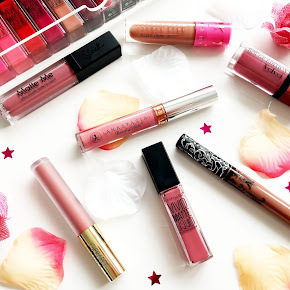 I also grown to have a rather unhealthy obsession with liquid lipsticks, particularly the Jeffree Star Velour Liquid Lipsticks. 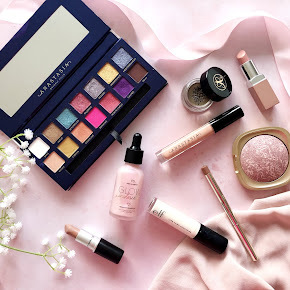 Reading post after post and googling swatches of every dreamy shade in the range had me drooling. I have a total of around 8 of the liquid lipsticks now but there are 2 shades that I tend to wear more than the others, Celebrity Skin and Mannequin. They are both nudes and so wearable. I imagine they would suit every skin tone too. The formula is like nothing that I have tried before, it is smudge proof and the colour stays put throughout the day, through eating and drinking, even kissing. I have my eye on a few other shades too, along with their skin frosts(which look amazing by the way). This is a fully fledged Jeffree Star Cosmetics obsession. I'm not normally a fan of mascaras. I don't know why, I don't really pay much attention as to what they do for me, but I know I can't be without one. It's quite a strange one really. Although I say that I have really been liking the *Maybelline Lash Sensational Luscious Mascara. I really love the original Lash Sensational Mascara but this one is so easy to remove, doesn't irritate my eyes and makes my lashes look more fuller and thicker. It has oils blended in the formula to make your lashes feel more 'conditioned' too. Once I run out I'll be repurchasing it for sure. 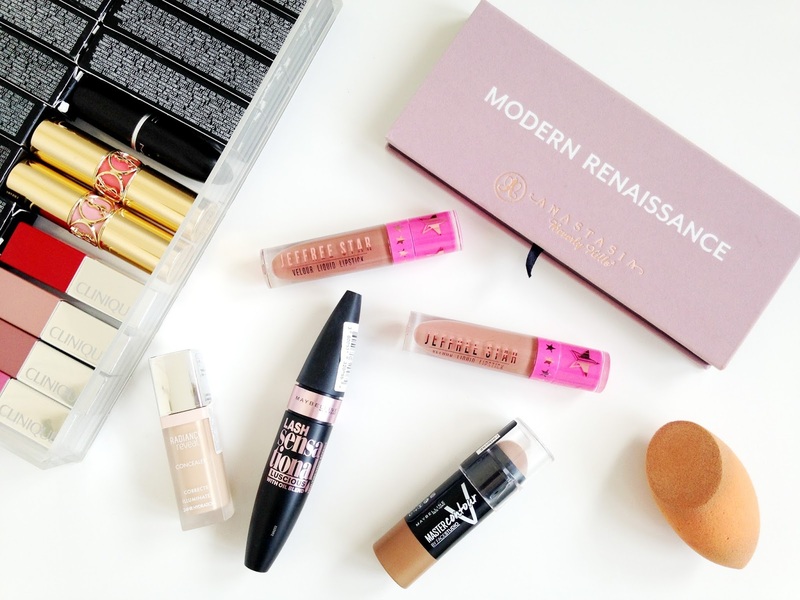 I don't tend to change up my concealer that often either. 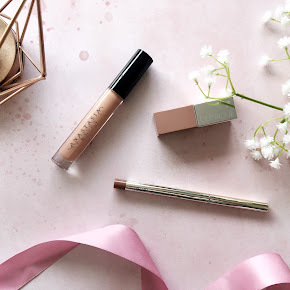 I always stick to one that I know works for me but the Bourjois Radiance Reveal Concealer is a star for making me look more awake and covers up the nasty bags under my eyes after a rough nights sleep. It applies so beautifully too as it's not too thick nor thin. It blends in so well. If you're looking for a good drugstore under eye concealer I seriously suggest you give this one a go. 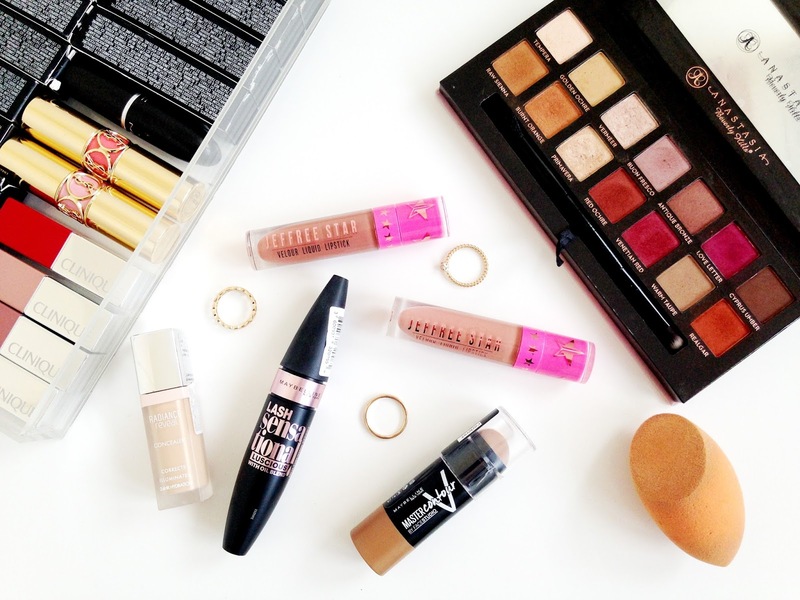 My favourite makeup products to use and buy are contour and highlighters. I love a strong contour and highlight at times but I've really took to the natural approach to contouring lately. Unfortunately that can't be said for highlighting. The *Maybelline Master Contour V Shape Duo Sticks are so creamy and the Light shade is perfect for my skin tone. They glide along the skin wonderfully too. You can find out more about them here. Last but not least is the Real Techniques Miracle Complexion Sponge. It is somewhat dirty at the moment and needs a good clean but it's actually taken over my love for the Zoeva Silk Finish Brush for foundation application which I adore. Used either damp or dry, it gives the most flawless finish to foundation, whether you're using a light to medium, or even full coverage foundation. I absolutely love it. It's also a delight to use to blend in concealer, and even cream contour too. I actually bought 2 in a pack so I have a replacement if I ever need it as a backup or for another purpose. What have you been loving during August?